House maybe one of the most expensive things people buy during their lifetime. Building expensive, big and beautiful house is everyone’s dream. The richest persons in the world do the same thing.They buy the most expensive house in the world or build it. House is not just for a place to live. But more than that It’s an investment. Most expensive house can be resold for more price when the owner need some money. 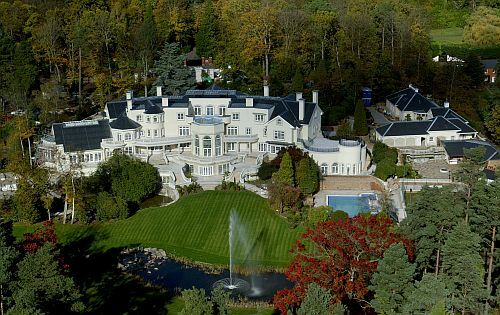 So let’s take a look at these most expensive houses in the world that simply can make you get lost inside because of their size. Dracula’s Castle seems like a bad name but It’s actually a Romanian castle. The castle became a museum during 1980s. 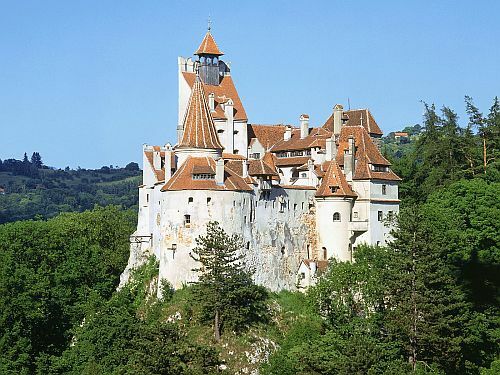 The owner of the castle, Archduke Dominic put up the castle for sale. He request for 80 million dollars. No one want to take the deal for that amount. Again, he want to sale 2 years ago for undisclose price. But There’s no news that it have sold till now. 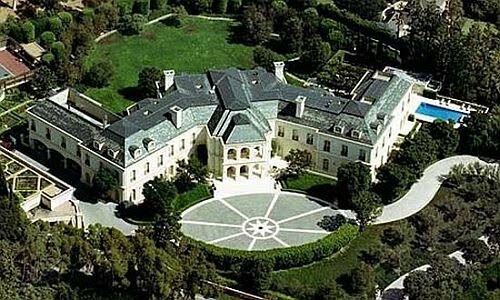 This amazing house, though named as a castle has 57 rooms, 17 bedrooms and unique and beautiful antique furniture. This amazing house builton 58 acre land in the Windlesham neighborhood. This huge structure offers 103 rooms with all facility you can imagine as a rich person. There’s a private cinemas in the north part of the house as well as bowling alley for recreation of the owner. You can find horse barn, squash and tennis courts in case you want to get some refreshing with sport. You can find a marble drive away as well that wait you every morning with a parking lot that large enough to park up to 8 limousines. This house was built in 1991 with French Chateau style. This house has 5248 square meters of room area with more than 4.6 hectares total house area. 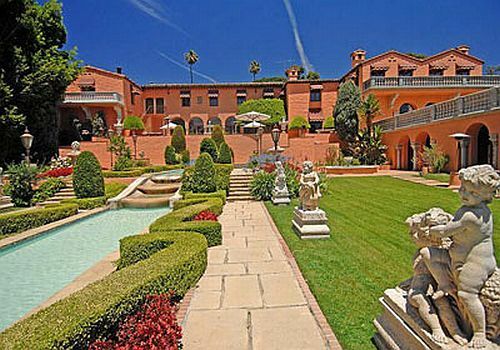 It’s also the biggest house with the private ownership in the Los Angeles County. The main house is located at the end of long road and well protected with security system. You can find bowling alley, humidity controlled silver warehouse, tennis courts, 2 swimming pools, and luxurious woman beauty care such as beauty salon in the attic and a spa. You can find several garden as well like 18th century style gardens,roof gardens and orange gardens. This house has a parking lot that large enough to park up to 100 cars. You can also find private cinemas on this luxury house. 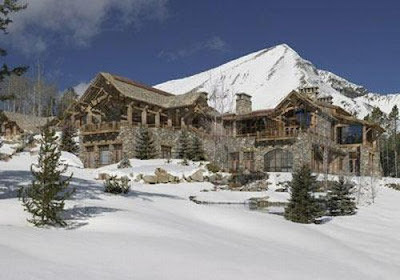 This ski Lodge is the largest property in the exclusive private ski and golf community “Yellowstone Club”. You can get a conclusions that this become the owner’s home. Yes, It’s true. It’s the home of Tim and Edra Blixseth. It’s not that big compared to other house in this list with only 10 bedrooms. What’s the facility can be found here? You can find the heated flooring system that stretched throughout the house, fireplace in all bathrooms, a huge wine cellar, indoor and outdoor pool as well as gym and massage room. This expensive house is located in Belgravia, Central London. It’s six floors property with 20 foot ceilings, lavish equipment and more than 21,000 square ft of rooms to live. 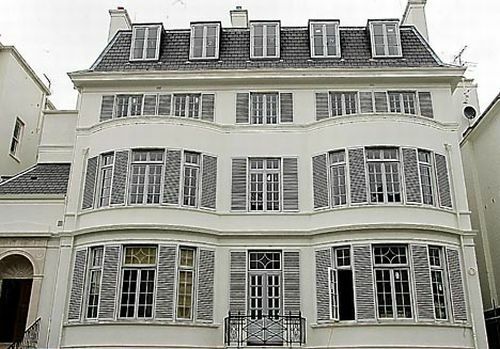 This house currently owned by developer from Lebanon, Musa Salem, and It’s now on sale and become the most expensive house on the market now. The house was bought by Mr Salem from the Grosvenor Estate. The home has a Victorian style with many luxury amenities such as swimming pool in the basement, gym, private home theater, large garage space and news room. 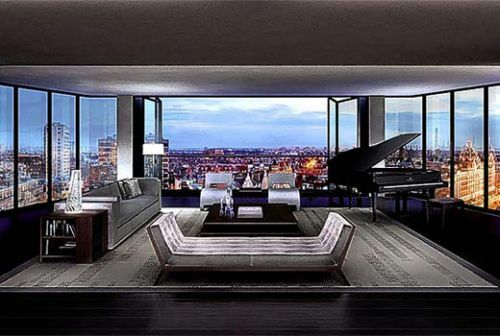 This apartment that located in Hyde Park will become the most expensive flat in the world at the price of £6,000 per sq/ft. This apartment is guarded with top level security system. You can find many feature of security here such as panic room, bulletproof window, iris scanner, and you can find a tunnel to the nearby area of Mandarin hotel. You can see the communal spas, squash courts and you can find amazing wine tasting rooms here. Of Course this apartment will be served 24 hours by the staffs. This luxury renowned villa was built on 29,000 square ft area in Riviera, French. It’s renowned for built in the open menicured garden and swimming pools. The villa has 11 bedrooms and 14 bathrooms. This villa is having the best beachfront in the south of France. This villa was built for King Leopold from Belgia and was later bought by Edmund Safra. 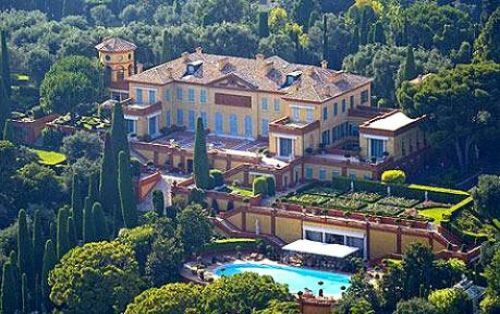 Now the building is the house of the wife of the late Edmund Safra, Lily Safra though it was rumored to be sold to Bill Gates, Gianni Agnelli and undisclosed Russian Tycoon. This modern gorgeous structure is called Antilla. It’s a 27 floors building with 40,000 sq ft tower owned by the CEO of Mumbai based Petrochemical Giant Reliance Industries, Mukesh Ambani. The building is 570 ft tall and will have 400,000 square feet of interior space. 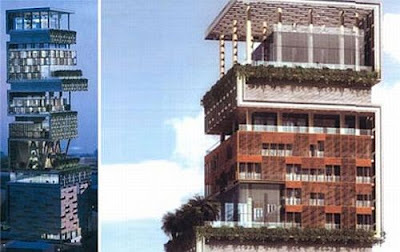 For the parking alone, the building dedicate 6 stories because Ambani has around 168 cars collection. You can see nine elevators with lot of lounge and personal gym in each floor. The house is serving by 600 servant. You can imagine how luxurious this house. Looks like this amazing house will hold the record of world’s most expensive house for a long time as it’s far more expensive from the second most expensive house in the world. 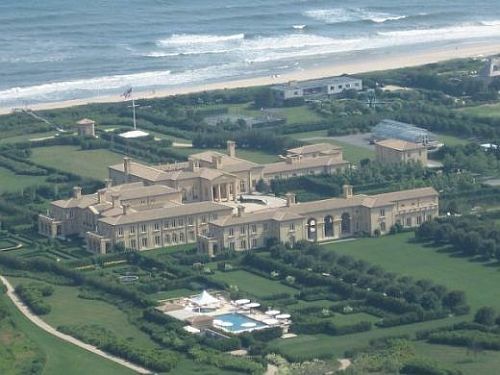 Do You think You can buy one of those most expensive house in the world during your lifetime?